Originally posted November 20, 2013. Just because we're waiting until the week before Christmas to bake, doesn't mean you are. You all are much more disciplined about not sneaking them from the freezer or gobbling up half a dozen while they're still warm, right? Not that there's anything wrong with that. Of course. In the event you're already baking or will be baking soon, I wanted to offer up our favorites. If you've been around here for awhile, you'll see that our list hasn't changed much. That's because these are the cream of the crop, in my opinion, and improving on the list would be tough. That said, I'd love to hear what your favorite Christmas cookie is. Would you tell me? Please, please, please? Almost all of these recipes below can also be found here. 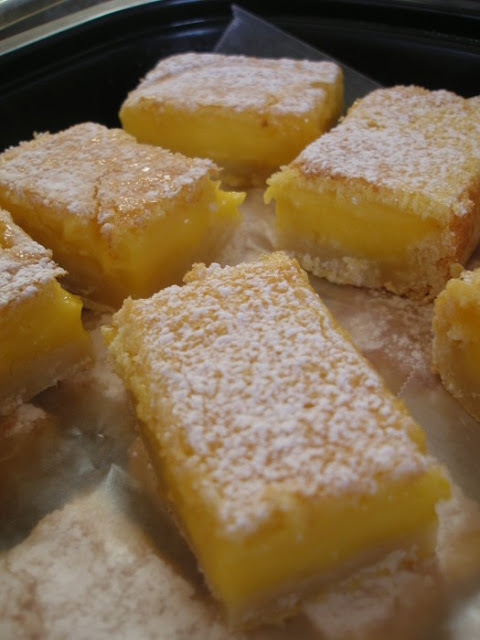 First off- Lemon Bars. Oh, how I love them. My infatuation began in our college cafeteria where I ate them for the first time. Imagine how I now enjoy these in contrast with the albeit tasty cafeteria version (they actually baked them there, I believe). 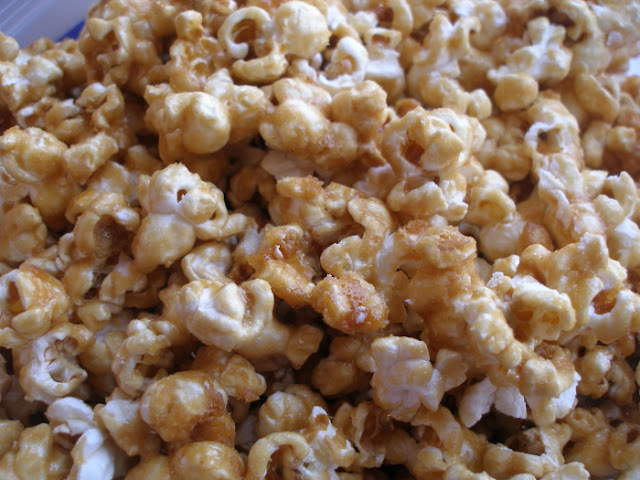 Next, we have my mother-in-law's Caramel Popcorn. Hers is the best I've ever had- well-coated, not grainy, just melt-in-your-mouth heavenly. These Chewy Chocolate Gingerbread Cookies are my favorite cookie in the world and I'm not exaggerating. I could eat them every day at every meal. Boldly spiced and chocolaty, they are divine. Ahhhh. These are my mother's Chocolate Mint Brownies. You can add green food coloring to the mint layer to make them more festive, but I like leaving them pure white so your unsuspecting company is wowed by the flavor punch. Such a classic- Peanut Blossoms. These were my favorite growing up. I'd always eat the peanut butter cookie around the kiss, saving the chocolate for my last bite. Hmm. Come to think of it, that's exactly what I still do:-). 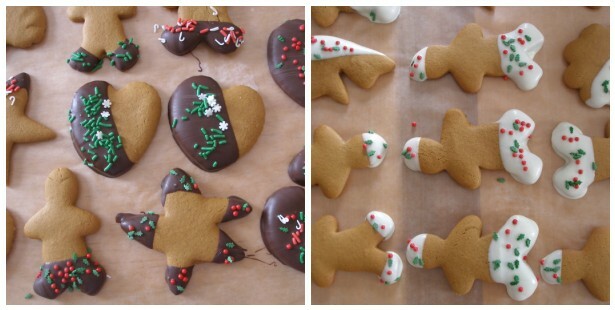 This Gingerbread Cookie recipe came from my mom. She use to pipe white icing on her gingerbread men, giving them faces and little pants, shirts and shoes. Several years ago, I decided to decorate them by dipping them in melted chocolate and then let the kids decorate with sprinkles. As you may have noticed above, I love the chocolate-gingerbread combination, so these are my second favorite cookie. And I can still give the illusion of little pants, shoes and hats. 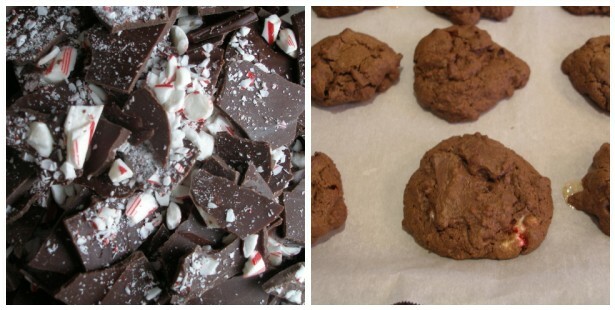 Do you know about Chocolate Peppermint Bark Cookies? Well, I am happy to introduce you. The bark can totally stand alone as a treat (or sweet gift wrapped in a cellophane bag), but add them to chocolate cookies? Be still my beating heart. 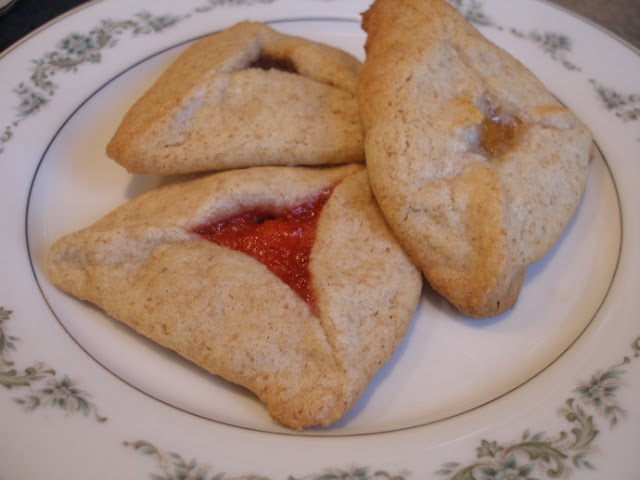 In the back of Beth Morre's Bible study book on Esther comes this recipe for Haman's Ears. 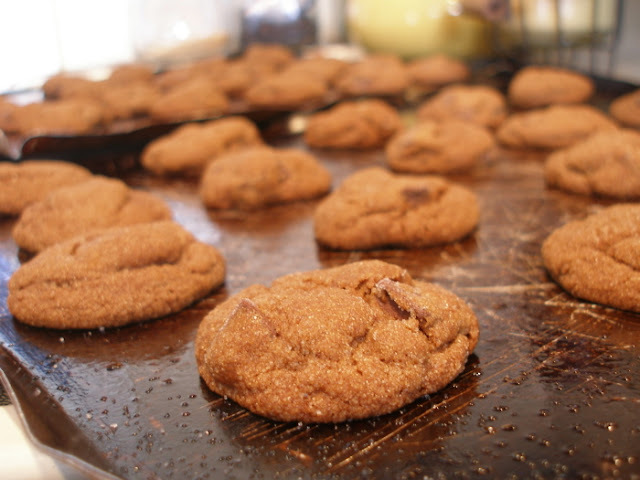 Soft, sweet cookie is wrapped around your choice of filling- we use apple butter and different flavors of jam. Not only are they delicious, but they remind our family of the way God uses ordinary people to do extraordinary things. 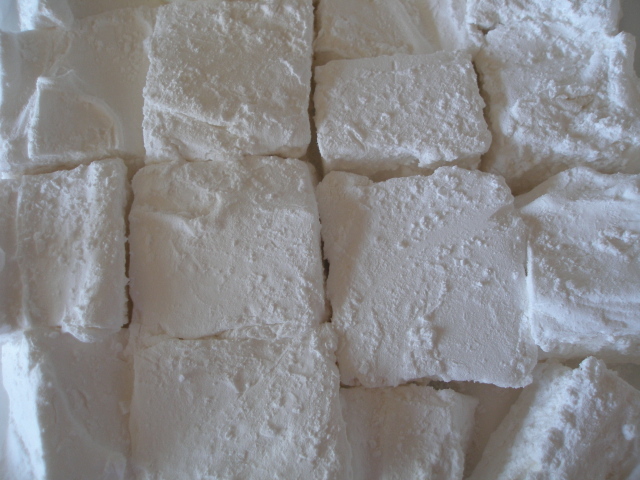 Lastly, Homemade Marshmallows. If you've never tried these, you really must. They are surprising easy to make and taste so much better than the store bought variety. And! Your kids will love dropping one big giant marshmallow into their hot chocolate instead of those of itty-bitty ones.